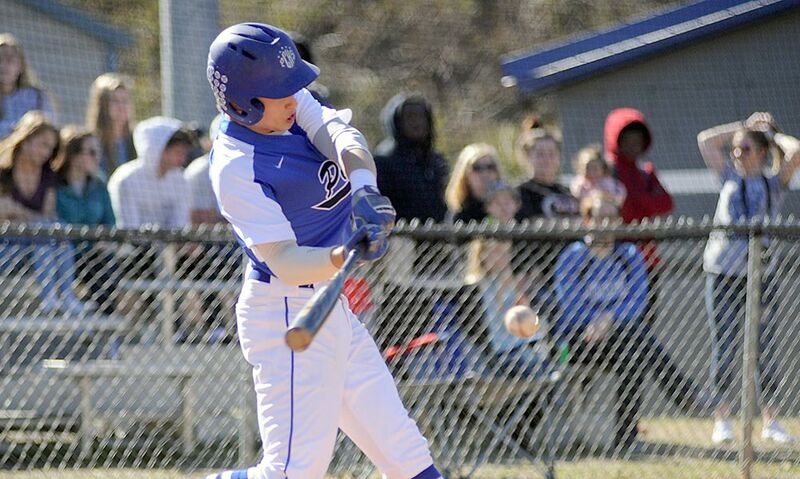 Nick Capozzi’s grand slam and a shutout effort from two Polk County pitchers helped the Wolverines hand Owen a 10-0 defeat Friday in Swannanoa. The Wolverines (8-4, 6-1) wrapped up the Western Highlands Conference win in five innings and were helped by a Warhorses (3-7, 2-5) pitching staff that issued 11 walks in the game. The teams were scoreless until the third inning, when Grayson Jones’ two-out single drove in Capozzi with the game’s first run. Polk then racked up four runs in the fourth. Jordan Bishop tripled to open the inning, followed by walks to Kyler Scruggs and Evan Rimer to load the bases. With one out, Capozzi then launched his home run to left to clear the bases and make it a 5-0 lead for Polk. The Wolverines then exploded for five runs in the fifth. Bishop again opened the inning with an extra-base hit, this one a double, and scored on an Owen error on Scruggs’ grounder. With one out, Scruggs scored on a passed ball before Clark Phipps and Capozzi walked. Another passed ball allowed Phipps to move to third, and he then scored on a double steal. Sedrick Pickett followed with a walk and Elijah Sutton singled to load the bases. An error on Jones’ grounder allowed Capozzi to score before Kaleb Kropp’s sacrifice fly accounted for the final run. Avery Edwards earned the win, allowing three hits and striking out seven in four innings. Zeke Herrmann pitched a scoreless fifth to end the game. Capozzi was 2-for-4 with four RBI and scored three runs, with Bishop going 2-for-3. Jones was 1-for-3 with two RBI while Sutton had Polk’s other hit. The Wolverines return to The Bottoms on Tuesday to host Avery in another WHC matchup.